We are rapidly approaching the end of the term with 9 and a half school days remaining. You’ve probably heard or seen by now that all of our building works have been completed, which were the upgrade of Room 6/7 and the outside toilet block. This is exciting for all our learners especially those in Kaikomako who ‘broke in’ their new classroom on Friday. Feel free to be nosey and check the space out, it is pretty choice! This weekend I want to highlight one of our Ngā Uaratanga (School Values) to you all and that is Kotahitanga. This value is all about coming together and working for a shared purpose. 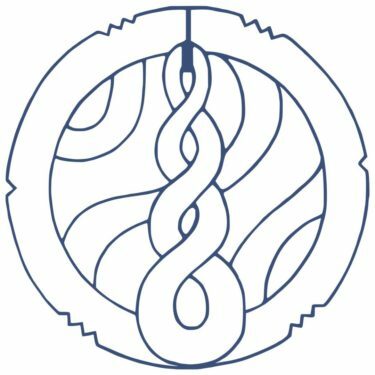 Its symbol is the Pikorua or twist shape that illustrates emerging paths in life. Double and triple twists represent the relationship between different people or cultures and unity and inclusion of all. Something that is often on show at school, most recently last Saturday at our school’s 90th Jubilee and Thursday night at the Poutokomanawa Whānau fish and chip night. Certainly a value that has brought a lot of New Zealanders together in recent weeks. Some of you may have heard about a severe motorcycle injury that badly effected Corey Dunweg, who is Emilia from Infinity’s father. Friends of the family have set up a Givealittle page if you would like to contribute to support his path to wellness. All of us wish you a speedy recovery and our thoughts are with Simone and the family. A reminder tomorrow that our final trip to the Marae is happening for 2019. Nic, John, Bianca and Mel are taking their learners through to Te Ahu a Turanga in Woodville for their cultural experience. I know each of the classes that have gone already had the most fantastic and memorable times. Thanks to all the parents that have helped out on these trips and to the teachers for organising these. The next RSS Hoody run is open until April 10th so order now here so they are ready for early Term 2. It would be great to see all our new whānau rocking the Blue and Yellow that we have become a little bit famous around Palmy for. The first order of Beanies has been ordered too so WTS (Watch this space) for updates about cost etc. I posted recently about our upcoming Learning Conferences next week on Tuesday 9th and Wednesday 10th April. It was great to see over 50 new conferences have been booked since that post. We are now sitting on 224 conferences booked out of a possible 317. A reminder that school closes at 12.30pm on Tuesday 9th April. Book here with the code 8w2hf if you haven’t already. Last week you may have received a note about paying Activity Fee and School Donations. Just so you know, the activity fee covers the trips and activities that teachers organise for your children to prevent you having to send money in for buses etc every time one happens. You can pay $10 a term or the full $40 for the year. School Donations are exactly that, they are a voluntary payment that helps give your children all the extra things to make RSS the special place it is. It provides a range of things including additional resources that are over and above and in class support for our learners who need it. Hockey and Touch rugby have wrapped up for another successful season. Some players didn’t return their sports uniforms to their coaches. If you still have yours at home, please could you send it in to the office so we can get these all accounted for. A reminder that Morning Maths Busters is still happening every Friday morning from 8.30am in its new location of Room 6. Come along and play some maths games with your child or encourage them to attend. Every 5 visits gets you one of our cool RSS wristbands. On Tuesday, we welcome our newest teacher who goes by a different name now… Kelly Stickle, who is back from her honeymoon in Rarotonga. We know that her and Kahu would have had a stellar time and are enjoying married life together. This Friday, we farewell Casey and Jon Paul who have been learning the teaching craft from Robin/Sandi and Ebony. They have both been welcomed members of the team and will be missed by the kids in Tohoranui and Infinity. The School Stream App delivers Russell Street School information directly to users on their mobile devices.